You might wonder why people still shows up to the Mzee after 29 years. Let me tell you it is not because of his stamina or looks. It is not because of his statesmanship or pledges, even if his governmental policies, none of that that matter; all that is pointless! When it comes to get people to his campaign rallies there are other ways. On the 11th January he hired the Global buses from Mbarara so there we’re no buses going from Mbarara to Kampala. The where even more hiring nearly every bus in the town was hired to ferry people to the Boma Grounds for the campaign in town. Therefore all lorries and buses where driving shuttle-traffic to get the full stadium that the President wanted that day. As the campaign rallies going in Mbarara the UPDF or the army held the public so they wouldn’t leave the venue while the campaign rally was going on. Sure the Isingiro clips are hurting his mind and character. There was the reports coming in that on the 12th January 2016 as well, the buses was hired to ride around in the districts to the venues of Mzee, so the buses was hired from Mbarara and if you thought you we’re travelling to Kampala, you were wrong. Even if maybe there one or two who made it, the most of it went to the districts as the Bus Pack where very silent and empty. As they we’re hired by Mzee. UPDF was even driving around the campaign venue with vuvuzela’s and whistle’s chanting in the town for Mzee. In 13th January 2016 the NRM needed to do something to get full campaign venues for Mzee so they hired buses and shipped people to the venue in Bushenyi district. They paid the people 20,000 shillings and gave them free yellow t-shirts. As he was in Ibanda there been rumors all over Eastern District that Mbarara we’re there no buses today because they was hired to ship people for the mighty Mzee, who is surely using his war-chest to hire crowds instead of getting crowds to come to him. What a noble idea and what a way to be with the people, I am sure he is going to ship people on the 15th so they can’t watch the Presidential Debate that is useless. Hope they get more than 20,000 shillings for their travel and listening to the rewind of pledges from Mzee. Also, hope you had no plans of travelling from Mbarara to Kampala all buses where in Ibanda under the paid direction of Mzee! Peace. The Thirteen Day of Presidential Rallies in Uganda + New Pledges from the Government..
Today has been a good day a Saturday with quotes and actions from the trails. There been some serious hazard of actions from the ruling party of NRM. But hat is understandable, that is the only thing they know. That’s why the others have to campaign with defiance and strength to overcome the ruling party. There is heavy campaigning. Though not reports from them all. Like the smaller candidates. I got the most notable from the trio of Yoweri Kaguta Museveni, Dr. Kizza Besigye and Amama Mbabazi. Not squat on the rest today. Erias Lukwago: “It’s now interesting that 95% of KCCA NRM councilors have not returned at the primaries”. NRM vice chairperson eastern region Capt. Micheal Mukula said this recently: “Jinja town will never be granted a city status while still in the hands of the opposition”. 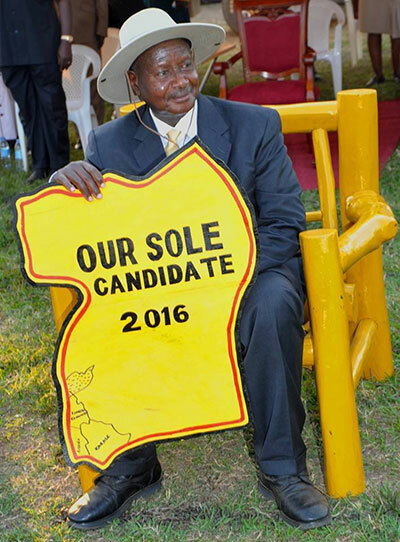 Ibrahim Nganda Ssemujju – “I have a feeling that if Kayihura doesn’t like you; you may not be announced winner”. 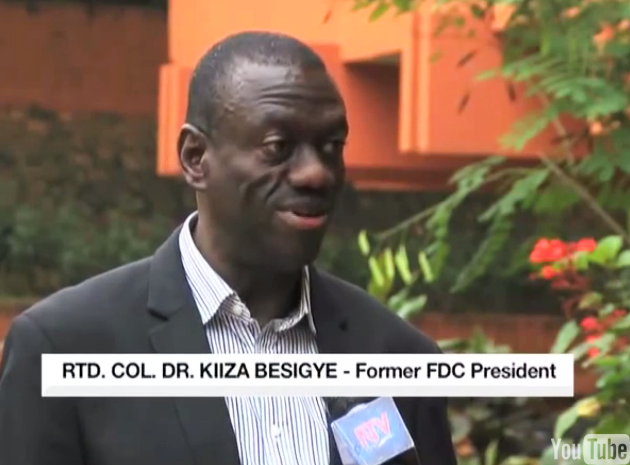 Dr. Kizza Besigye on the trail: “We spent $760m to buy 6 fighter jets. We can get $360m to buy laptop for secondary students”. Gen. Mugisha Muntu: “I don’t understand why the most marginalized districts overwhelmingly vote for NRM”. Olara Otunu: “Museveni has used the dived and rule policy”. In Mbarara where Go-Forward and Amama Mbabazi are having an rally later today on this Saturday. 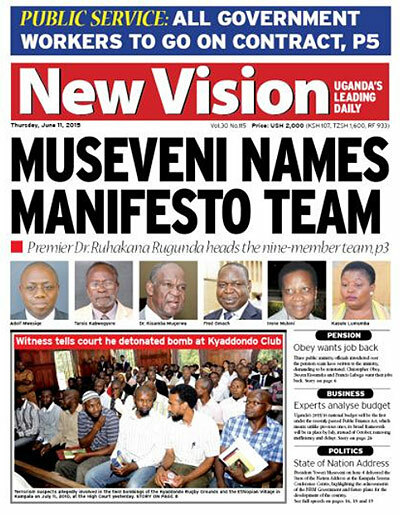 The Police wasn’t happy about that so they has jailed two hundred (200) boda-boda drives, motorcycle taxis, so that there would be less transport from town to the venue where the former PM where holding his Presidential Rally later today. 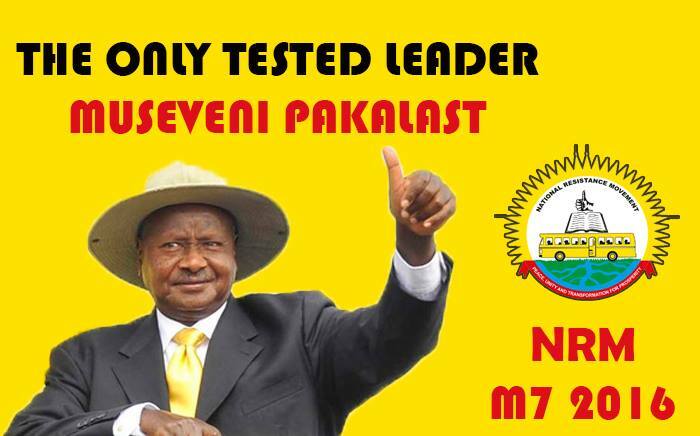 Also the day before the Campaign rally of Amama Mbabazi their posters was taken down and changed for the NRM-Posters. 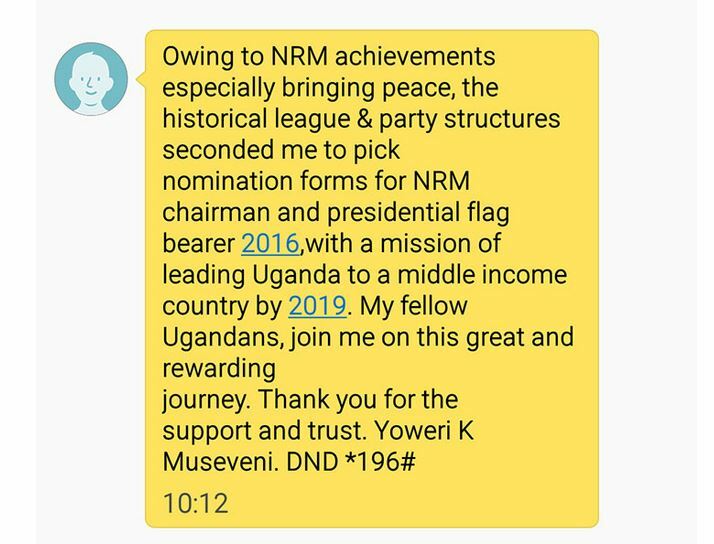 Surely this is clean business as usual for the NRM-Regime. After the rally and little or no pay from the promised chiefs to shun the Go-Forward Rally; they have no been running and chasing the local RDC Office “demanding payment for their service”. While in Kakyeka at the Total there the ones who was travelling and refueling their motorcycles was paid by the NRM for fuel, but many just entered the Total with NRM-posters, but when they left the Gas-Station they just threw the NRM-Poster away. In Bushenyi there been groups and teams who has had their duty to take down campaign material and posters of Go-Forward and Amama Mbabazi posters in the town. They have even been caught on tape explaining the plans on how to do so. And that is fair game? In Mitooma District NRM Supporters was disrupting the event and venue for the Go-Forward and Amama Mbabazi. That was because this district was a Museveni District. Next weeks planned Presidential Rally for the Go-Forward team at the Lira Golf Grounds. They have now been sealed down with Iron sheets. So that when the other candidates will have a venue in town they have to arrange it at smaller spots like Mayors Ground. In Bududa there were 104 NRM members who deflected after the rally to the FDC camp. 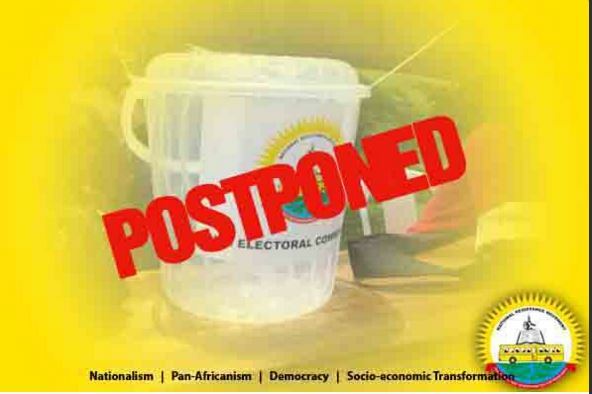 UPC leaders in Acholi have shunned the Jimmy Akena over the NRM agreement and alliance. So there we go; another day done and the trail continue at high speed. The Police is very active still and showing its face yet again. For those who wondered if the police would be a part of this election? They are and the one interesting are the reactions to the deal between NRM and UPC. How the leaders of UPC respond. Hope you enjoyed. There will be more to follow. We have the rest of November, December, January and parts of February. There will be more and more actions from the ones involved. It is just a matter of time before the Public Order Management Act gets into action! Peace.